Government of Yukon Workers: Bargaining Input is now open. If you work for the Government of Yukon, your contract is due to be renegotiated. YOU can help craft your next agreement. 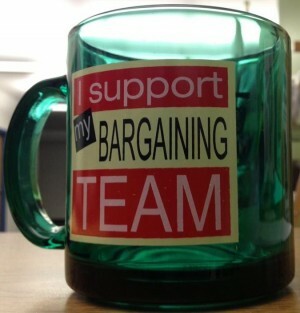 YOU help determine the priorities of your bargaining team. YOU choose your Bargaining Team! Is there something that has driven you crazy about your collective agreement? Is there a clause in the contract you feel is flawed, lacking clarity or even missing entirely? Submit it! Submit a Bargaining Input form that clearly spells out the changes you want to see in the next agreement. If it’s something you and your co-workers have talked about, make sure to have them add their signatures to your submission. The more members sign a proposal the greater the chance it will make it to the bargaining table. YEU members employed by the Government of Yukon can expect a special issue newsletter in their mailbox at the start of May. This mailing will explain all the steps of the negotiation process including selection of your pre-bargaining committee and the Main Table Bargaining Team. All forms will be included in the special mailing. Get involved in the Bargaining process… stay involved from the bargaining input stage right through contract ratification. The best thing about being in a union is that your working conditions come about through your own participation. Stay connected through the blog (SUBSCRIBE TODAY) or visit us at our website! This entry was posted in At Issue and tagged agreement, bargaining, bargaining team, collective agreement, contract, contract expire, Government of Yukon, government worker contract, negotiations, nomination, proposals, union, union contract, YG, Yukon Government, yukon labour, yukon trade union. Bookmark the permalink. ← What do Your Union Dues Buy?